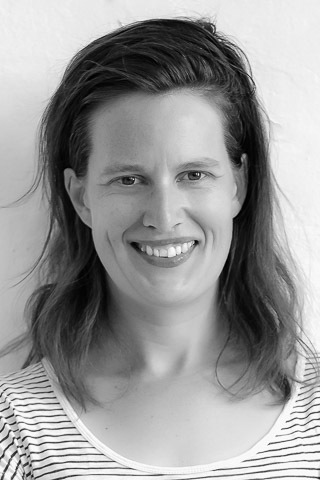 Anna Clark is an Australian Research Council Future Fellow at the Australian Centre for Public History at the University of Technology Sydney. With Stuart Macintyre, she wrote the History Wars in 2003, which was awarded the NSW Premier’s Prize for Australian History and the Queensland Premier’s Prize for Best Literary or Media Work Advancing Public Debate. Her PhD thesis, Teaching the Nation, was published by Melbourne University Press in 2006 and examines debates about teaching Australian history in schools. Follow up research, History’s Children: History Wars in the Classroom (New South, 2008), used interviews with 250 history teachers, students and curriculum officials from around Australia to explore Australian history teaching in school. She has also written two history books for children, Convicted! and Explored! Anna’s most recent project, Private Lives, Public History, used interviews with 100 Australians from around the country to consider and include their thoughts on history alongside public and political discussions about the past and is published by Melbourne University Press. Reflecting her love of fish and fishing, she has also recently been written a history of fishing in Australia, which will be published in 2016. Her current project, 'Re-imagining the National Story', is a history of Australian historiography, funded by the Australian Research Council. Anna's teaching interests range across Australian history and historiography, including contests over the past, oral history, history education, memory studies, and public history. Allender, T, Clark, A & Parkes, R 2019, Historical Thinking for History Teachers A New Approach to Engaging Students and Developing Historical Consciousness. An edited collection surveying the nature of Australian history teaching today at both the primary and secondary level. © The Editor(s) (if applicable) and The Author(s) 2017. Using Australian history as a case study, this collection explores the ways national identities still resonate in historical scholarship and reexamines key moments in Australian history through a transnational lens, raising important questions about the unique context of Australia's national narrative. The book examines the tension between national and transnational perspectives, attempting to internationalize the often parochial nation-based narratives that characterize national history. Moving from the local and personal to the global, encompassing comparative and international research and drawing on the experiences of researchers working across nations and communities, this collection brings together diverging national and transnational approaches and asks several critical research questions: What is transnational history? How do new transnational readings of the past challenge conventional national narratives and approaches? What are implications of transnational and international approaches on Australian history? What possibilities do they bring to the discipline? What are their limitations? And finally, how do we understand the nation in this transnational moment? Clark, A.H. 2008, Explored!, Hardy Grant Egmont, Prahan, Australia. Clark, A.H. 2005, Convicted!, Hardy Grant Egmont, Prahan. © 2018, © 2018 Informa UK Limited, trading as Taylor & Francis Group. In 1961, English historian E. H. Carr described history as 'an unending dialogue between the present and the past'. Nearly 60 years later, has anything changed? What does 'doing history' mean today? And what does it mean in Australia and other settler societies, where debates about decolonising methodologies, fictions, audiences and authorship challenge the practice and function of history? In this recent roundtable held at the Australian Centre for Public History at the University of Technology Sydney, four historians contemplated what history is (and isn't) and how historiographical changes have influenced their own approaches to historical research and writing. There is an ever-greater popular attachment to the commemoration of Anzac Day in Australia, with growing commercial, popular and institutional support around the country. This resurgence has also generated significant disagreement among historians, shaping the historiography of Anzac in recent years and raising important questions about Australia's current obsession with Anzac: is it a reflection of increasing popular historical engagement, or an ideologically driven 'mobilisation' of the past? While various scholars have sought to unpack and understand this potent phenomenon of national sentiment, this article, based on a series of oral interviews with ordinary Australians in selected communities, reveals an uncertainty and complexity in many vernacular responses to Anzac that need to be included if that commemorative sentiment is to be properly understood. Contests over Australian history captivate governments, historians and public commentators; they grab headlines and spawn endless public commentary. The 'history wars', as those debates have come to be known, play out over museum exhibits, national commemorations, public apologies and the ways we teach the past to the next generation: should the Australian War Memorial commemorate the victims of the Australian frontier wars? Should Australians be sorry for historical actions in the past? Should Australian history be compulsory in school? (And so on.) But does that 'national story' have any meaning for Australian families and communities? This paper canvasses some recent qualitative research into historical consciousness in Australia to explore the ways those historical discourses operate beyond the public domain. It asks participants to speak in their own words about what history means: how they relate to their local and family histories, and how they engage with Australian history more broadly. Impor- tantly, the project reveals a depth and complexity to Australians' historical engagement and demonstrates that public and personal discourses about the past do indeed intersect in everyday life around the country. Despite significant research into the meaning and operation of historical consciousness, there is still much to be understood about its hereditary function. For example, what does historical inheritance look like? How does it influence our individual and collective historical consciousnesses? And, just as critically, what happens to historical consciousness when history is deliberately withheld, when that inheritance is suspended or severed? As a way into some of these questions about passing on the past, this paper draws on a qualitative research project into historical consciousness in Australia to explore how so-called `ordinary people see themselves as part of a historical narrative. It reveals that historical inheritance is critical to our historical consciousness, and it notes the profound impact of forgetting on participants, raising important questions about the role of `silence and `absence in the formation of historical consciousness. The history wars are far from over: the question is, do they resonate beyond the limited public sphere in which they play out? What do Australians think of their history in light of these politicised historical debates? By way of answer, this article examines the enduring public contest over the past and then investigates more elusive, but no less significant, everyday conversations about Australian history around the country. By proposing a method of `oral historiography to gauge contemporary historicalunderstandings in Australia, it brings a critical new perspective to theseongoing debates. It offers ordinary people a chance to contribute to national discussions about Australian history and it challenges some of the more simplistic and troubling assumptions of the history wars. So the public conjecture over Australian history is far from over as these debates among historians, politicians and public commentators remind us. The question is, does any of this resonate beyond the limited public sphere in which it plays out? What do Australians think of their history in light of the history wars? By way of answer, this paper examines the enduring public contest over the past and then investigates more elusive, but no less significant, everyday conversations about Australian history around the country. By proposing a method of `oral historiography to gauge contemporary historical understandings in Australia, it brings a critical new perspective to these ongoing debates. The political potency of national history has been understood for generations. Yet there has been an unquestionable surge in history's political influence over the last twenty or thirty years, as the various history wars that have broken out around the world attest. Australia has been no exception: disputes over its national story continue to generate considerable controversy in the media, in politics and in public debate. But how has this politicisation of the past affected Australian political history in the present? This paper examines how history is practised in contemporary Australian politics and notices an increasingly strategic use of the past by politicians in recent years. Teaching national history in school generates significant public anxiety and political debateas the various 'history wars' around the world reveal. For many school students, however, studying their nation's past is dull and repetitive. Such lack of interest has been confirmed by surveys and research reports that reveal alarmingly low levels of national historical knowledge among young people, and there is growing popular concern that their ignorance of the past endangers the nation's future. Yet preoccupation with students' apparent national illiteracy tends to overlook how they connect with history in the first place. This paper draws on findings from a comparative Australian and Canadian research project that interviewed students and teachers about the ways they learned and taught history. It argues that any return to 'the facts' at the expense of critical historical engagement in class could turn students away from the subject. Clark, A.H. 2007, 'A decision that affects the lives of real peopleâ', The Age, vol. 8 October, pp. 13-13. Clark, A.H. 2007, 'It's like, history'', The Age, vol. 21 April, pp. 13-13. Clark, A.H. 2006, 'History's forgotten voices', The Age, vol. 15 July, pp. 9-9. Clark, A.H. 2006, 'Is History Fiction? ', Australian Book Review, vol. 278, pp. 21-21. Clark, A.H. 2006, 'Teaching the Nation', The History Teacher, vol. 44, no. 1, pp. 16-18. Clark, A.H. 2006, 'Textbooks: from the Narrative of the Nation to the Narrative of Citizens', Rekishigaku Kenkyu, vol. 816, pp. 24-30. Clark, A.H. 2006, 'The History Question: Correspondence', Quarterly Essay, vol. 24, pp. 54-56. In June 2004, the Prime Minister, John Howard, and the Federal Minister for Education, Brendan Nelson, announced a new $31 billion federal education package in which funding would be tied to a National Values Framework. The increased government support would be contingent on the implementation of several policy initiatives "that will underpin the Australian Government's national priorities, shaping our schools over the next decade". Clark, A.H. 2005, 'Murder at Pioneer Cemetery', The Bulletin, vol. 5, pp. 19-19. Clark, A.H. 2005, 'Murder at Pioneer Cemetery', The Monthly, vol. September, pp. 19-19. Clark, A.H. 2005, 'Sense and Nonsense in Australian History', The Bulletin, pp. 69-69. Clark, A.H. 2005, 'The 125 moments that changed Australia', The Bulletin, pp. 52-111. Clark, A.H. 2004, 'Oh lucky land', The Age, vol. 28 August. Clark, A.H. 2004, 'The great history debate', The Age, vol. 9 February. Clark, A.H. 2004, 'Who was Edmund Barton, and who cares? ', EQ Australia, vol. Winter, pp. 7-8. This article examines debates over teaching Australian history in schools and notes a pervasive anxiety about what "our children" should know. The article sketches some of these debates, and while noting the politics of history teaching both in Australia and abroad, argues that its heavily politicized discourse has been further intensified by an increasingly pedagogical invocation. As a sense of investment and ownership in the teaching of Australian history in school becomes more widespread, the contest over the past, paradoxically, has focused increasingly upon the image of the child as a generic symbol of the future. The I Australians and the Pase project was initiated in response to growing historical interest and awareness in Australia. This attention to the past has manifested itself in both local and personal histories, as well as in increasing tension and debate oyer Australian historY. more broadly, ' School history is intrinsically situated in these discussions. Debates over history syllabuses are inseparable from the contemporary struggles and desires to represent Australia through its heritage. Indigenous histories in particular have incited most response, although migrant, feminist and comparative post-colonial units in history syllabuses have also produced significant reaction. Teaching history, and Australian history in particular, is loaded with the political context (and contest) of articulating the national past. This article examines the lAustralians and the Past' survey in the context of school history using interviews with history teachers conducted as part of the project. Clark, A.H. 2002, 'Getting back to the facts', The History Teacher, vol. 40, no. 3, pp. 20-25. Clark, A.H. 2001, 'A student of optimismâAustralian lives', The Australian, vol. 1 January, pp. 16-16. Australian history has generated intense political and historiographical interest in recent years, as historians, politicians and public commentators weighed into captivating and divisive contests over the nation's past. Commemorations, museums and school syllabuses became sites of great public interest and contestation, powerful reminders of the politics of collective memory. While such discussions continue to stimulate argument and analysis in scholarly articles, opinion pieces and public commentary, little is known of their impact on the wider community. What do so-called 'ordinary Australians' think about the nation's past? Are the historical questions it raises also debated in our sports clubs, living rooms and community centre kitchenettes? Does that historical concern reach out beyond opinion pages or academic journals, and across the garden fences that Tom Griffiths wrote about in relation to historical practice? Like many settler societies, the pressing challenge facing Australian history and history education concerns the colonisation of its Indigenous people: how do we collectively remember a national 'birth' that was also characterized by violent confrontation, dispossession and Indigenous dispersal? And how do we teach that troubling and contested past in school? Such questions have spawned heated, highly politicized debates over the ways that colonisation should be recognized and collectively remembered in Australia's national narrative in recent decades. These 'History wars', as they've come to be known, play out over the representation of Australia's colonial history in museum exhibits, national anniversaries and public monuments: should 'Australia Day' fall on 26 January – the day Governor Arthur Phillip and the First Fleet of convicts landed in what is now Sydney – in 1788? Should the Australian War Memorial commemorate Indigenous victims of the Frontier Wars? They are questions that go to the heart of this difficult history (Attwood, 2005; Macintyre and Clark, 2003; Manne, 2003). School history has been a particularly heated site of dispute. Successive State and federal governments have fought significant public battles over the terminology of Australia's colonial memory, inserting and deleting words like 'settlement' and 'invasion' in turn; 'discover', 'pioneer', and 'genocide' have been similarly fraught—yes, disagreement over teaching Australia's 'difficult history' has literally been as a crude as that (Clark, 2006; 2008). Only recently, the federal Education Minister ordered a review of the new national history curriculum because of its supposed ideological bias. 'We think that of course we should recognize the mistakes that have been made in the past,' Christopher Pyne acknowledged. 'But we don't want to beat ourselves up every day' (Kids should learn about Anzac Day: Pyne, 2013). Western historians and philosophers of history have increasingly noted the changing relationship of people to the past and the emergence of a different historical consciousness. Studies of historical consciousness reveal the ubiquity of the past in contemporary culture and society. More than simply helping us to understand how people connect to history or how well they know it, such research also reveals history as fundamental to the way people perceive themselves. Historical consciousness is both intuitive and learned. The nexus between the past and the discipline of history raises several critical educational questions, such as: How can we operationalize historical consciousness? Can it be taught and in what ways? How does it function alongside historical thinking and reasoning in classroom engagement? This chapter canvasses and historicizes multiple definitions of historical consciousness as it relates to history education and explores some classroom applications. Family history has become one of the most widely practiced forms of vernacular history around the world over the last thirty years. While that boom in family history has sometimes been understood as a response to globalization and rapid change—a search for 'something solid in a shifting world' —the sheer scale of that historical interest also points to a distinct historical paradox: the search into local and familiar pasts is a decidedly international practice. The reach of the internet has opened up archives to anyone with a computer, lines between the production and consumption of history have become increasingly blurred, as local and family historians share methods and data with researchers around the world, and popular historical programs and resources, such as Who Do You Think You Are? and Ancestry.com continue to spawn franchises around the world in response to an apparently insatiable popular historical appetite. We are just as likely to see a genealogist or family historian researching in our archives and public libraries as academic historians. In historical terms, it seems, the local is indeed global. transnational history ITas nioved from the Inargins to the mainstream. A survey of Australian historiography over the last fifty years. Shortly before my grandmother Dymphna died she called me into her room. She was tired and wincing with pain. `I want to show you The Box, she said. But she looked so sick that I suggested we leave it until after she had rested. I had seen its contents maybe 10 years earlier, when I was 11 or 12. I didnt really know anything about this box, except that it was old, it came from Sweden and had been passed down the female line in our family. Clark, A.H. 2006, 'Our children-the citizens of tomorrow', History in Global Perspective: Proceedings of the 20th Congress of Historical Sciences, Faculty of Arts and Social Sciences, University of New South Wales, University of New South Wales. Clark, AH 2016, 'On listening to new national storytellers', The Conversation. Australian history is already a hotly contested discipline but is it time to broaden our definitions of the canon? Might an indigenous rock painting or a novel or a poem constitute a work of history?